The comparative effectiveness of alendronate and risedronate has received limited evaluation. Among 19,063 new users of bisphosphonates, risedronate users had a higher relative rate of hip fracture compared to alendronate users, but the difference in absolute fracture rate was small. We conclude that the agents have comparable efficacy. 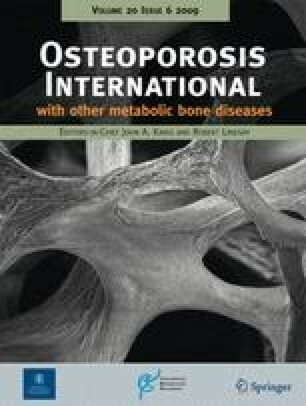 Bisphosphonates differ in their in vitro potency, avidity for bone, and rapidity of onset in clinical trials. To address potential differences between bisphosphonates in comparative effectiveness, we compared new users of alendronate and risedronate to determine if there were differences in the risk of clinical fractures at 1 year and beyond. Using claims data from a U.S. health care organization, we identified new, adherent users of weekly alendronate or risedronate and assessed subsequent fractures. We calculated fracture incidence rate differences and ratios between the two agents. There were no significant differences in fracture rates between alendronate users (n = 12,956) and risedronate users (n = 6,107) at 1 year. Using all available data, the rate of hip fracture was higher among risedronate users compared to alendronate users (absolute rate difference approximately five per 1,000 person-years). Risedronate users had a higher relative rate (RR) of hip fracture (RR = 1.77, 95% CI 1.15–2.74) and similar rates of clinical vertebral and nonvertebral fractures compared to alendronate users. The absolute rate of clinical fractures among alendronate and risedronate users was similar both at 1 year and beyond, suggesting comparable effectiveness between agents. 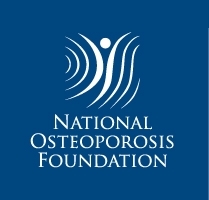 Some of the investigators (JRC and KGS) receive salary support from the National Institutes of Health (AR053351, AR052361) and the Arthritis Foundation (JRC). JC: research grants: Novartis, Amgen, Merck, Proctor & Gamble, Eli Lilly; consulting: Roche; speakers bureau: Merck, Procter and Gamble, Eli Lilly, Roche. AW: research grants: Novartis. HC: research grants: Amgen. KGS: research grants: Novartis, Amgen, Aventis, Merck, Procter & Gamble, Eli Lilly, Roche; consulting or speaking: Merck, Proctor and Gamble, Eli Lilly, Roche, Novartis, Amgen. ED: research grants: Amgen.